Once you leave the Lyle Pearson Acura lot with your new Acura, our responsibility does not end. We will continue to help you take care of your Acura and help keep it in peak condition. Our service department is ready to handle all of maintenance needs. Our team of highly trained professionals will take care of your car like it is our own and ensure that it keeps you moving for years to come. Need to Schedule car service in Boise, ID? Our Acura service center in Boise is proud to serve the entire Treasure Valley and all of Southern Idaho. If you live in any of our surrounding areas, and you need Acura service, then we are the place to go. We have regular service customers come to us from Nampa, Meridian, Twin Falls, Mountain Home, Ontario, and all point in between. We look forward to seeing or hearing from you soon. 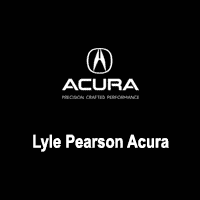 When you service your Acura at Lyle Pearson Acura, you can be assured we will only use the highest quality OEM parts installed with care by our team of professionals. Quality is key with Acura vehicles, and the same is true with our service department. We understand that coming in for a service appointment is never fun, so our team will get you moving and on with your life again as quickly as possible. Lyle Pearson Acura	43.6008969, -116.277538.